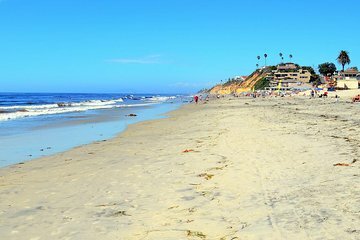 Sunny San Diego is known for great beaches, and this tour will take you to the best of them. Spend the day in lovely La Jolla, with gorgeous coastal landscapes, lots of marine wildlife, and coves that are waiting to be explored. Enjoy a panoramic view of Mount Soledad from a lookout point, make a stop at the Torrey Pines golf course, then the Glide Port for a view of the surfing at Black Beach.